When it comes to the automotive market, the midsize sedan segment is likely the most populated, but the compact sedan segment is hot on its heels. 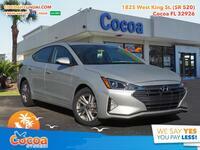 For us, the 2018 Hyundai Elantra is our favorite compact sedan, but we’re fully aware that there are plenty of other fantastic options on the market. 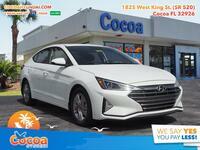 That’s why we thought we’d show you why the Elantra is our favorite, by comparing it to what is probably its biggest competitor in the 2018 Honda Civic. The table below takes a look at some of the most important aspects of vehicles like these. 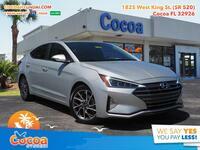 We figured the best way to show you the differences and advantages between the Elantra and Civic would be to just go right down the table row by row, so keep reading for all of the details! 14.0 gal. Fuel Capacity 12.4 gal. A lot of different factors go into the final sales price of a vehicle, but everything starts from one point: the Manufacturer’s Suggested Retail Price, or MSRP. As you can tell from the first row of the table, the Elantra has a pretty good chance of saving you a lot of money just based on the MSRP, as negotiations will start roughly $1,890 lower than on the Civic. The next two rows look at fuel, which is often an important factor on many shoppers’ buying list. 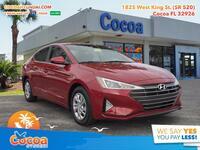 First, fuel efficiency, which the Civic unfortunately pulls ahead of the Elantra in. It gets 3 extra miles to the gallon on average, however the next row shows that the Elantra offers an extra 1.6 gallons of fuel. That means the Civic has potential to save you some pocket change at the gas pump over time, but you’ll have to stop fewer times on a road trip in the Elantra. Finally, in small vehicles like these many drivers prefer the option to have a manual transmission. 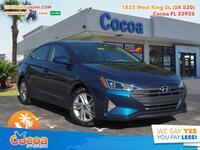 Both of the Elantra and Civic offer that possibility! 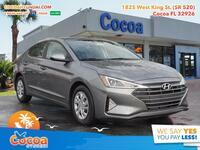 If you think the 2018 Hyundai Elantra is the right option for you, be sure to get in touch with us right here at the Cocoa Hyundai!